ONE: Life as a Mom of Two. The first week was stressful. The combination of a moody toddler, not being able to move around quickly myself, not sleeping and my husband returning to work all added up. Week #2 has been much better! I'm so thankful for nice weather and feeling good enough to take the boys outside on walks. Being outside makes everyone happier! 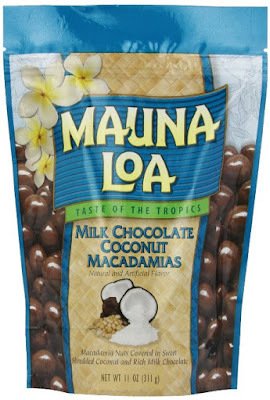 TWO: Chocolate's Best Friend = Macadamia Nuts. My youngest brother brought me a bag of Mauna Loa Coconut Milk Chocolate Covered Macadamia Nuts yesterday and they are basically gone. Guilty as charged... they are addicting. I can't have these around the house anymore, otherwise the remaining baby weight will never leave! When I do start running again, I will be breaking in our double stroller. 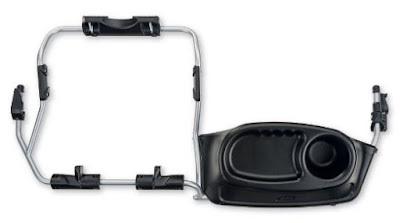 My arms better get pumped up soon... Our BOB Duallie Infant Car Seat Adapter is on it's way! I was hesitant to buy one but we found a good deal on ebay. Woop woop! FIVE: Today is National Donut Day! Now this is a day I CAN celebrate! But we don't live anywhere near a Krispy Kreme... Someone please eat a donut for me. 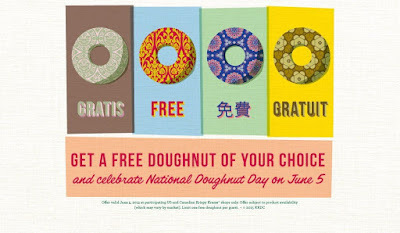 Krispy Kreme - Get a free doughnut today! Did you celebrate National Running Day or National Donut Day? 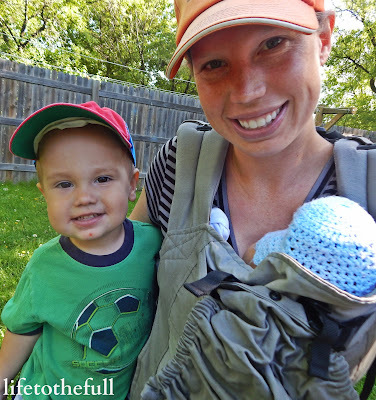 Linking up with Fitness Friday. I didn't celebrate either. I don't eat donuts and the other is a long story. How in the world did I miss you having the baby! Wait. I know. It's called studying like crazy to pass the NASM PT exam. Congratulations friend. Much love to you and your family. Hope your studying and exam prep is going well, Jill!!! Thank you for the congratulations :) We are all so excited! You are running already?! And no donuts for me either! I won't be running for at least two more weeks :) I hope someone had a donut to celebrate National Donut Day - I could use one right now!